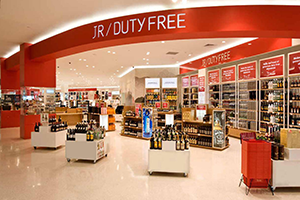 Duty-free stores are assured of a steady stream of prospective customers. Since almost all visitors buy tax -free products for themselves, and as gifts for their friends and relatives, duty-free retailers see bigger carts per customer than most other retail outlets. 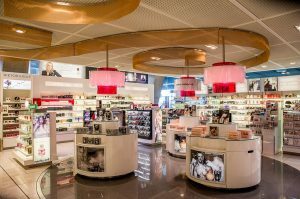 Here is the tricky part: the features that make duty free shopping such an attractive proposition are the same ones that pose challenges to the customer and to the store manager. Customers have to compete with other shoppers for choice items and when they get to the checkout counter, they have to stand in a queue for some time. Now, because these people are almost always rushing to catch a flight, there is a limited amount of time they can spend waiting in line. In the end, a good number of them have to abandon their carts so that they don’t miss their trips. The store manager’s challenge is ensuring that all visitors are converted to customers; that the choice products are always available, and that every customer enjoys a good and speedy service. This is not so easy to pull off. Duty-free shoppers do not have a lot of time to spend in stores, and the last thing they want to do is wait in lines. As mentioned above, the stores are guaranteed a steady stream of visitors every day and duty-free shoppers have bigger carts than the average retailer. Because of this, when customers abandon their carts, the store loses lucrative sales opportunities. And the longer the wait lines, the more customers abandon their shopping carts. As a matter of fact, travelers make it a point to avoid stores that are known to have long queues. Queue management technology helps duty-free stores avoid customer holdups. The devices provide store managers with information on how many people are waiting in lines in their store, and how much time each customer spends on the queue. That way, they can react quickly and come up with solutions e.g. open up new checkout counters and employ temporary staff during busy periods. Heatmap technology provides an overview of how customers move about in a store, where they spend the most time, and which products they engage with the most. The data gathered is then analyzed to show what motivates people to buy specific products. This knowledge is useful and can be used to optimize areas (and products) with lower engagements. New marketing strategies are also drawn up and implemented, and corresponding heatmap data can be used to test their effectiveness. Furthermore, since heatmap data can be used to improve the store’s layout. For example, if it shows that a good percentage of customers purchase perfumes and afterward, buy chocolate, this information is usable. The store manager may place the chocolate aisle close to the perfume shelf so that customer may easily pick one up after the other. To create even more cross-selling opportunities, an exclusive discount may be given to customers that buy perfumes and chocolates. Heatmap data shows the real-time occupancy of a store, i.e. how many people are in store at every given period and which areas are the busiest. Duty-free stores may show this data to their business partners as evidence of how well the store is being managed. The data may also be presented to prospective business partners, giving the store better leverage during negotiations. With historical data from people counting and heatmap devices, duty-free stores can figure out which hours of the day, which days of the week, and which periods of the year they see the most visitors. These are their peak periods, the periods where the opportunity to make a sale is highest. Therefore, arrangements must be made to ensure that customers enjoy a quick and enjoyable shopping experience during these periods. In the hours leading up to power hours, store managers must ensure that all shelves are fully stocked and that all discount offers have been prepared and are on display. Temporary checkout counters may be provided, and extra store attendants are kept on standby, ready to be deployed when necessary. With these technologies and the information that they provide, duty-free stores can improve their service delivery and make it possible for travelers to breeze into their store, make a purchase, and checkout without losing any time. This reduces the rate of cart abandonment and maximizes sales. Additionally, before long, the fact that a particular store remains uncluttered and free of queues even during the busiest periods will spread. More visitors will enter the store to make their purchases, and the promise of discounts will keep them coming back for more. Duty-free shopping may be tricky, but with the support of the solutions above, store managers are better able to optimize their services and make the most of the endless stream of visitors that pass through airports. V-count is the foremost provider of heatmap, queue management, and people counting solutions in the world. We offer these technologies to businesses in over 100 countries in the world, and we safeguard our clients’ data using cloud-based platforms. V-count also has a business intelligence platform that uses the latest AI and Machine Learning solutions to analyze customer data and provide our clients with actionable reports. These reports can be used to create new in-store practices and marketing strategies. Please contact us today to begin your free trial.